As an Australian, I never got the buzz about Eurovision. 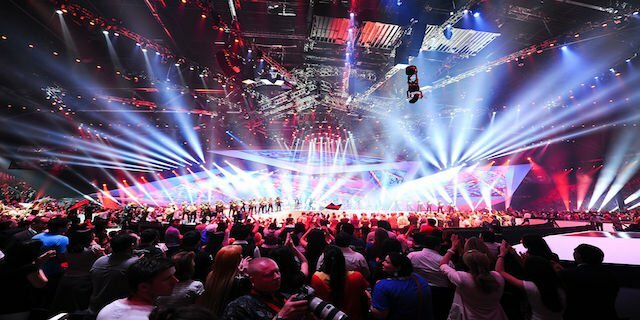 For those of you not familiar, it’s a huge annual televised song contest involving the nations of Europe where each country submits an original song and performs live. But now that I live in London it seems appropriate to be getting excited about my first one since I moved! My wife came up with the idea of having a Eurovision party, involving a sweep where attendees would be randomly assigned a country, bet a nominal amount, and bring a national dish from that country. The app won’t do the cooking, but it will conveniently provide a link to Wikipedia to provide the details and link to the voting page to see if you are in the money. She was too busy to sit down and work out a sweep, so I figured, working at Twilio, there must be an easy solution. And there is! First, I had to get all the finalists. I installed requests and beautifulSoup libraries, and then used them to web scrape all the info I needed. I dumped this into a JSON file called euroSweep.json. The code below shows how requests gets a web page and then use beautifulSoup to get the elements of the page that I needed to get the country names. Next, I needed somewhere to host everything. I was out of time to run up my own server, so I turned to Twilio Functions and Assets. The first step was to upload my JSON file to Assets. Make sure you upload it as a Private Asset or it won’t be available to your Function! Next, I had to create a Function. Functions are lightweight, event-triggered pieces of code that run in the cloud and scale automatically. Best of all you create them in your own Twilio Console. The Function I created accepted an SMS containing a number of attendees and returned a random, unique country for each person by SMS. The code for this is below. You’ll also need to Name your Function, set the event Dropdown to Incoming Messages and set a path. 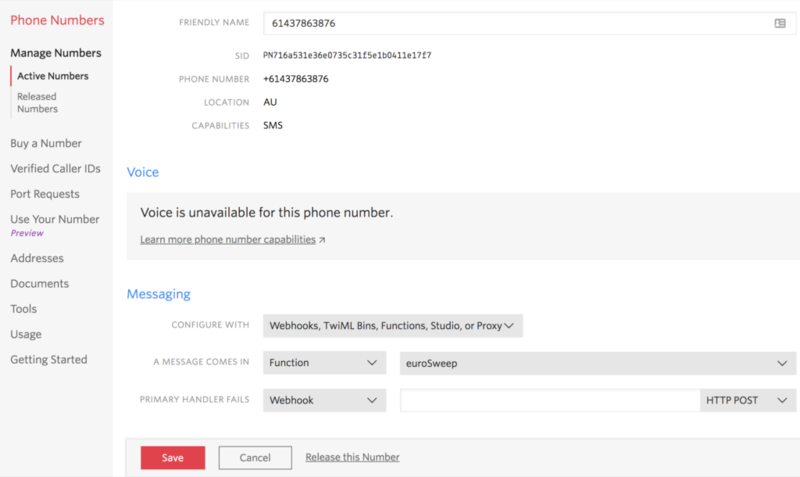 Through the Console I purchased numbers for my required countries and configured Incoming Messages to point to my shiny new Function! Why not try it out? !